What’s Included: 5 nights, daily breakfasts, 3 dinners, guide, bicycle rental, all entrance fees, and our famous t-shirt. … in the hills? What hills? In Florida? And we go more than once to the town called Mt. Dora. A mountain? Actually, Mt. Dora is located on what other parts of the United States might call a plain, somewhat higher than surrounding areas, and the hills of Howey aren’t percipient. 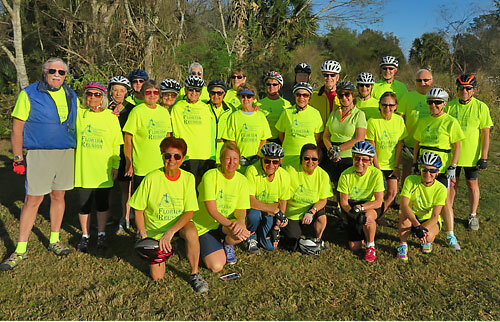 This central area of the Sunshine State is hospitable to bikers in many engaging ways. Gentle terrain makes for easy pedaling, frequently alongside the lakes that mark the landscape and horse farms that are another feature of the area. The weather is likely to be inviting. And while Mt. Dora doesn’t actually have a mountain, it does have a flea market to write home about. The flea market is called Renninger’s and is set out among oak trees hung with Spanish moss. It includes produce stalls and clothing shops along with other stands classified simply as “oddity vendors.” Oddities can encompass surprising things. We will visit Renninger’s on our first morning. You might not expect an outstanding German bakery in central Florida, but there it is, in the town called Yalaha. The Yalaha German Bakery makes Old World tortes and pastries along with traditional German breads and prides itself on using organic natural ingredients for all its products. The bakery includes a deli/restaurant, featuring traditional recipes. We will have lunch there the first day we’re out on the bicycles. The following day finds us biking to Mt. Dora, located on Lake Dora, where we’ll have lunch and also explore this pleasant town that’s more than a century old. It’s a place that rewards poking about. Shopping is of interest, and there’s also the Mt. Dora Museum of Speed. Its founder (who signs himself Bentley Boy) will fill you in on the vintage cars, signage, and memorabilia on view. 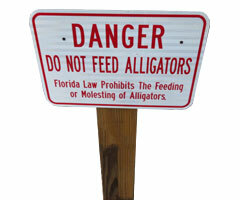 But we’re in Florida – where are the alligators? 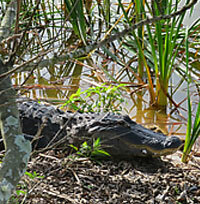 One of the places to see alligators is the Lake Apopka North Shore Recreation Area, where we will bike on trails with both birds and alligators in view. We’ll follow the West Orange Trail into the town of Winter Garden, for a guided walking tour of its historic downtown. 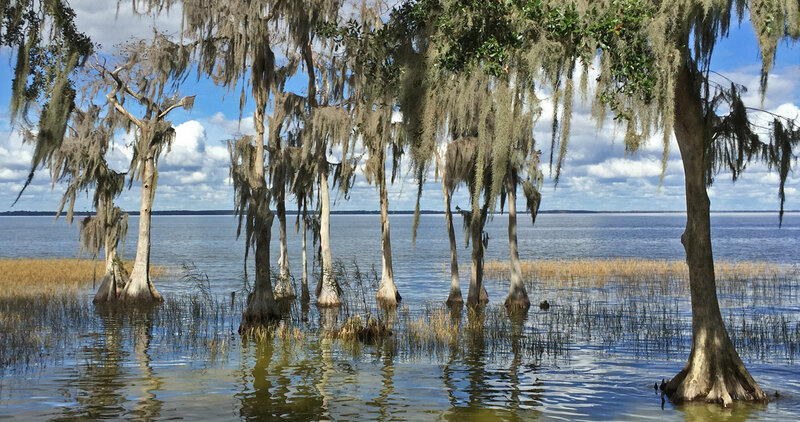 The last full day takes us by car pool to Tavares, which bills itself as “America’s Seaplane City” and has the seaplanes to prove it, where we’ll board a boat to explore the Mt. Dora Canal. A naturalist will be along to tell us about the flora and fauna we are seeing. Lunch in Tavares, but back at our inn in Howey-in-the-Hills we go off for a short last ride along the lake side and in the immediate neighborhood. This is not a demanding tour. Distances are short, hills are few, and our accommodations in Howey-in-the-Hills include a swimming pool. But pleasures are plentiful, and range from that German bakery where you wouldn’t expect to find it to the (usually) splendid Florida weather. You will leave with a sense of Florida history, from these 19th century-founded towns, an understanding you may not have had before.